People often ask us about our pricing, and it’s true: Asheville Community Yoga’s classes operate completely on a donation-based model. Congratulations to YOU! 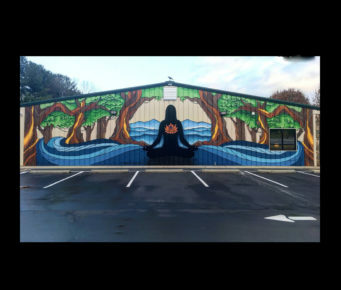 We are pleased to announce that Asheville Community Yoga purchased our building in October of 2016. This special place now belongs to our entire community! Through community fundraising, we raised the $150,000 needed to make the downpayment of the building and received a community loan of $85,000 for the down payment of the adjacent land at our existing location. Thank you to our amazing community for rising up to meet us wherever and whenever we need help and are ready to grow. 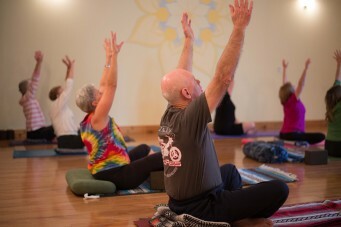 Now, instead of paying rent, Asheville Community Yoga will be paying off a mortgage. This will create a sustainable future for the yoga center and allow us to continue to serve the community for many years to come. We believe everyone can benefit from the healing practice of yoga, and aim to make it accessible to everyone, regardless of financial constraints, physical challenges or mental barriers. Why did we choose to expand? To put it simply, we ran out of room! Many of our classes were operating at capacity, and we were having to turn students away due to lack of space. It took many, many hours of hard work, but with the support of our community, we were able to save $100,000 in skilled and unskilled labor and finish the majority of our expansion by February 2018. We also raised an additional $75,000 for creating our new expanded space. As soon as we could we began using our new space, and now it’s hard to remember what Asheville Community Yoga was like without it. We are almost finished with renovations on the building and will continue to expand our offerings in 2018 and beyond! We are currently operating at 7,200 sq.ft with 3 beautiful studios for classes, workshops, yoga teacher trainings, yoga immersions, and special events. With our new space, we have been able to add more classes to our schedule including many new prenatal and meditation classes, and even yoga en Español- the first yoga class in Asheville for Spanish speakers. With our expansion we have been able to add 45 more classes per week, jumping from 80 weekly classes taught by 50 teachers to 125 weekly classes taught by almost 70 teachers. Zen & Now, our pre-loved clothing shop, has moved into the building, making it even easier for our students to find some sweet new duds at great prices, as well as browse and shop for artwork from the many local artists who display and sell their work at Zen & Now. We previously had 3 restrooms but now have 9, and now have 175 parking spots. Our Healing Arts, Karma Cafe & Childcare were all unveiled in early February 2018, with Healing Arts having 25 skilled providers offering numerous healing modalities to the community. This is a nurturing and safe space for so many of us to come breathe and practice. 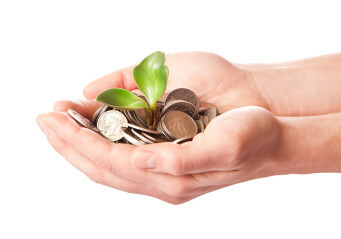 Every time you take a class, volunteer, or donate, you are contributing to the continuation and growth of the center. Thank you for expanding with us!